Mycortex contains a range of specially selected microbial and extract based biostimulants. These are then combined with a carrier, specifically chosen for your particular application method, which itself also acts as a food source for the microbes. 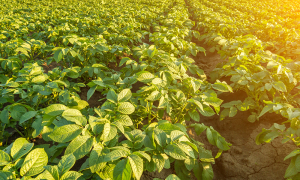 Unlike nutrient deficiencies, pests, or disease problems, it is difficult to identify a deficiency in the beneficial microbes required for a plant to meet its growth/yield potential. Mycortex covers all the bases, supplying a consortium of microbes and a range of biostimulants known to regularly induce yield uplift in many crops. Furthermore, these components act synergistically, improving their effectiveness and supporting microbial life far beyond the first application. Biotechnica’s experts in biostimulant formulation will then prepare your living Mycortex to order and tailor the formulation to suit your delivery system (see below). No filler is used, with 100% of ingredients being an active component of the system. 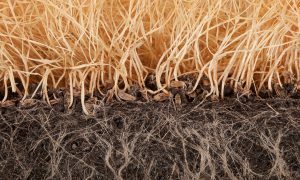 Mycorrhizal fungi: It has been long recognised that mycorrhizae enable plants to extract nutrients from the soil much more easily than roots alone. This is because the fungi live in close association with roots. The increased ability of roots to obtain nutrients through a symbiotic relationship with mycorrhizae is particularly important for the uptake of phosphorus which is poorly soluble and diffuses extremely slowly in soils. Even the uptake of more available nutrients and water is greatly improved through mycorrhizal association. Other benefits of mycorrhizae include increased protection against pests, pathogens and environmental stresses. Trichoderma fungi: Naturally occurring fungi, which crowd out many plant diseases that attack roots. The fungal species in Mycortex have been known to protect plants against fungal diseases such as Fusarium, Pythium, Rhizoctonia, Phytophthora and other soil borne pathogens. Beneficial bacteria: The consortium of bacteria in Mycortex is derived from Biotechnica’s unique BactoLife culture, which contains over 20 beneficial species and strains in an optimised ratio to populate the soil and re-establish biological activity. The blend includes atmospheric nitrogen-fixing Rhizobia and Azotobacter plus Bacillus, Saccharomyces and other strains which help solubilise nutrients and build soil structure. Beneficial microbes also colonise the root zone and provide effective protection against diseases. Humates: The addition of humates (humic and fulvic acids) acts as a balancing agent making nutrients biologically available. Humates are also powerful root growth stimulants thereby setting the conditions for rapid establishment and robust, disease resistant growth. Humates act as chelating agents making nutrients more bio-available and retaining them in the root zone. 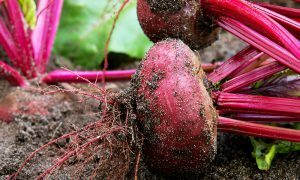 Saponins: In order to balance and promote microbial activity in the soil, Mycortex contains active plant saponins, which have been used to great effect to promote biological activity, particularly in soils low in organic content where they stimulate root development and boost the soil microbial population. Biotechnica also sell humates as BioHumate, saponins as BioFlow and SapoNite which can be used to stimulate rhizosphere bio-population and/or maintain the biological activity created by the addition of Mycortex. Microbial feedstock: Depending upon your specific application method, additional microbial feedstocks can be added to the formulation. 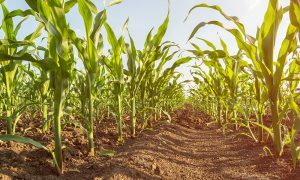 This includes balanced amino acids and complex carbohydrates which sustain microbial growth during the period of plant establishment in the soil, and to promote the symbiotic link to the plants. Incorporate into the soil at planting. Apply at 10kg/ha. See technical data sheet for application rates for containers, turf and trees. Also available in dispersible and root dip form. Mycortex is approved for use in organic cultivation by the Organic Farmers and Growers Association.